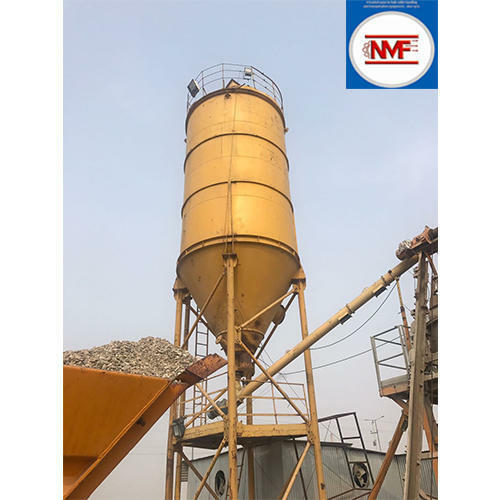 NMF equipment is a leading manufacturer of Mild Steel Silo. we also provide customized as per customer requirement. Delivery Time With in 2-4 Weeks. Production Capacity 8 in a month. Leveraging on our technical expertise and coordinated facilities, we offer a variety of products that are sure to match all the client's requirements. Over the years, we have become a known name in manufacturing and exporting Industrial Equipment that include Industrial Silos, Industrial Carrier, Industrial Conveyors, Industrial Control System and many more. Each product of ours undergoes stringent quality tests that makes them totally flawless. Our customer are from cement industry equipment, steel industry equipment, construction industry equipment, chemical industry equipment, Silos, hoppers / bunkers, mobile bulk tankers, pneumatic conveying systems, all types of conveyors, feeders, mixers & blenders, screw conveyors, screw pump for cement,fly-ash etc., debagging plants for cement,dry fly-ash, dust filtration equipments & other equipments as per customer specification. Each product confirms to highest quality stands.